From acclaimed novelist Jill Dawson comes this imaginative psychological thriller—a dark and compelling snapshot into the life of Patricia Highsmith that immerses readers into the intoxicating, nightmarish psyche of this brilliant, complex author. When novelist Patricia Highsmith moves into a small cottage in Suffolk, England, in the mid-1960s, she’s seeking seclusion and time to write. There’s another reason for seeking privacy too—Pat is involved in a secret romance with Sam, a married woman living in London. But even in this quaint village, Pat can’t escape the obligations of her success. A young reporter, Virginia “Ginny” Smythson-Balby, sets her sights on Pat for an article she’s writing. Ginny is both tenacious and oddly familiar, but Pat can’t quite place where she’s seen her before. Intent on unearthing details about Pat’s fascination with not just the subject of murder but the psychology of a murderer, Ginny constantly intrudes into the sanctuary Pat had hoped to create, much to her dismay. As Pat observes, love is a kind of madness. And when Sam comes for a visit, tension between Pat and Sam’s husband escalates with deadly results. For so long she’s wondered what it would feel like to commit the ultimate transgression. Now she’s not just a chronicler of murder and violence, but a participant as she becomes a character from her own thrilling, disturbing novels. But just like her books, she discovers crime has consequences…dark, surprising, and inescapable. Jill Dawson deftly explores the public and private life of one of the most intriguing writers of our time, blending fact and fiction in a novel as thrilling as Patricia Highsmith’s own work. Jill Dawson is the author of Trick of the Light, Magpie, Fred and Edie, which was short-listed for the Whitbread Novel Award and the Orange Prize, Wild Boy, Watch Me Disappear, which was long-listed for the Orange Prize, The Great Lover, and Lucky Bunny. She has edited six anthologies of short stories and poetry, and has written for numerous UK publications, including The Guardian, The Times, Vogue, and Harper's Bazaar. She lives in Norfolk with her husband and two sons. 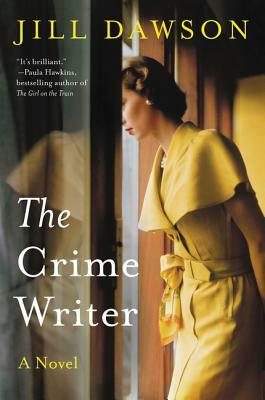 The Crime Writer represents an astonishing act of literary ventriloquism, easily on a par with The Master, Colm Tóibín’s fine novel about Henry James.